We are so interconnected a higher plane than we can truly understand. After all, we don’t even use much of our God given brain power because it’d overload us. But in Heaven, we’ll finally understand so much more than we do now. 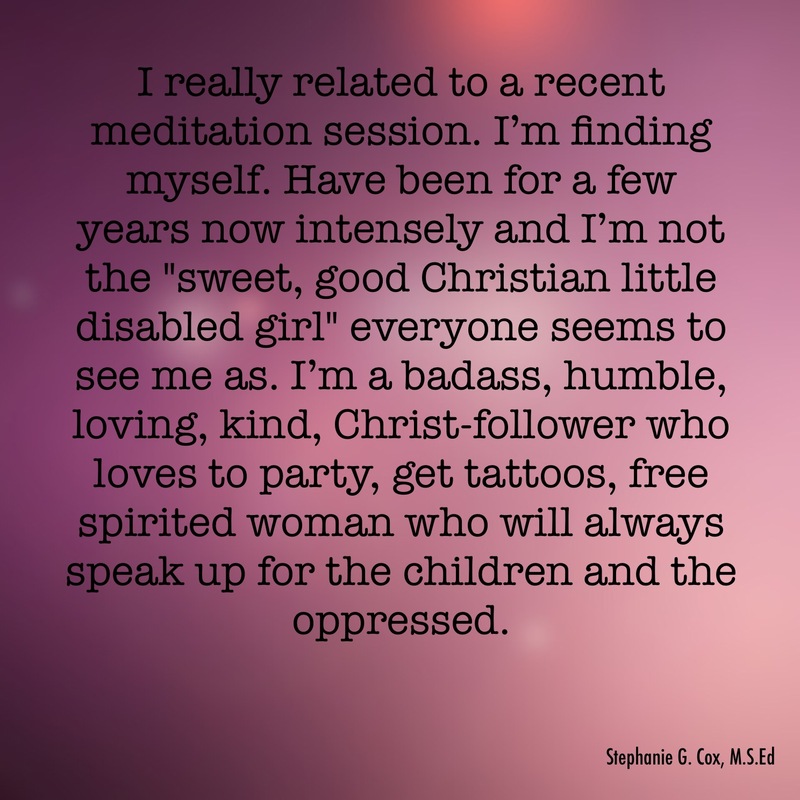 Our perceptions will be gone from what the Church and society has taught us, and we’ll be childlike again. That is why God gets so upset when people hurt children because they know so much spiritually, but we ruin it. That makes me sick. Children know God, but our doctrines and punishments plant sin in them. Then they believe whatever we teach because they are so trusting & humble. If we could/would just cultivate their knowledge of God and show them that He is their loving Daddy, this world would be better. But, satan knows this and wants to ruin it as quickly as possible to make children either reject God or believe that He’s this mean, angry God that so many Christians make Him out to be. The best way we can preserve our connectiveness with our children and God is to discipline them. Teach them how to act through modeling. Help them learn to deal with their negative emotions by validating them and provide them appropriate ways of getting out their upsets. One way to do this is giving them a calm me jar. To make a calm me jar, fill a plastic bottle with water. Then pour glitter in. Duct tape the cap on and give it to them when they are upset. They can manhandle it. As they calm down, they can watch the glitter settle. You can talk to them about their feelings. 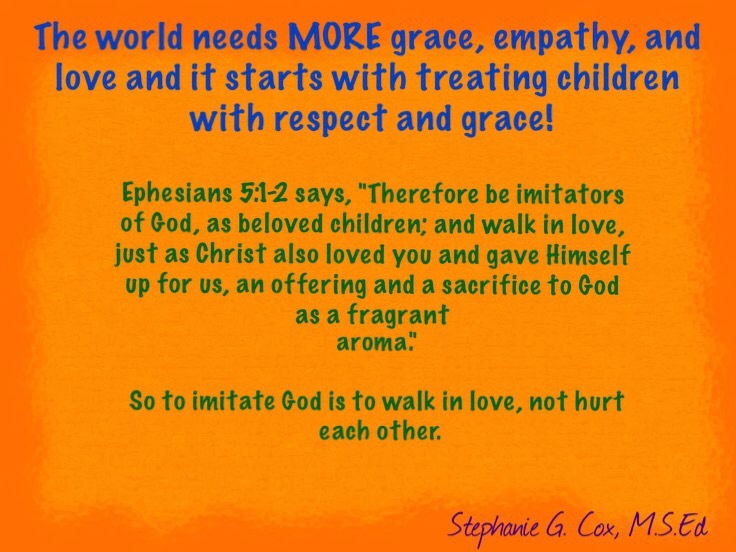 Some other ways to stay connected to our children and God is to set realistic limits and use natural and consequences with our children I will be posting more on limits and consequences in the future. 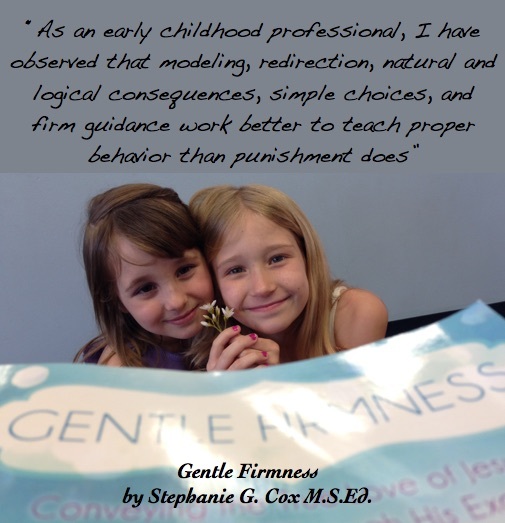 I go in depth about them and other positive discipline strategies in my book, Gentle Firmness. We are so blessed to have a loving God Who values relationships over anything else!